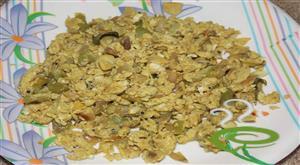 This is one of paleo diet recipe which i used to eat. Very simple and healthy too. We can do this with Tawa ir can do in fry pan to. Have to close kuda and cook for few mins. Ghee aroma full with chicken. This is very simple steps to do . 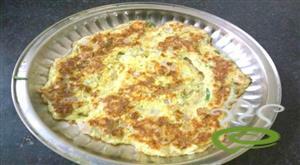 Paneer Egg Paniayaram is new and delicious dish. this Dish can used for Paleo Diet Which is famous Diet Now a days. 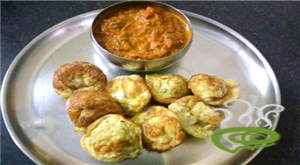 Paneer and egg Goes well in paniyaram. this recipe can be served along with puli chutney..
Chicken Gravy is a delicious and aromatic dish that goes perfect as a wonderful side dish with a lot many dishes. Chicken Gravy is spicy with thick flavorful gravy. Chicken Gravy is unique and special with chicken pieces cooked with hot, spicy and flavorful ingredients. Chicken Gravy can be easily prepared at home. Chicken Gravy is an awesome bachelor dish that can be enjoyed well with friends and family members. You can explore a well detailed Chicken Gravy dish here. Mutton Boti Fry is prepared from Lamb gizzards and the dish is famous in Tamil Nadu. Mutton Boti Fry goes well as a side dish with rice dishes and chappati. Mutton Boti Fry is delicious with spicy flavor and aroma. Mutton Boti Fry is nutritious and healthy as it is the tasty part of mutton and the dish can be easily prepared at home. You can adjust the spiciness as per requirement. You can explore a well detailed Mutton Boti Fry here. Boti curry is made with Lamb gizzards cooked with India spices in a nice spicy gravy. super offal curry made from lungs stomach lining, large & small intestine Various Gizzards cooked with India spices. Kudal Kulambu is a traditional recipe of Tamil Nadu. f you taste the curry once sure you are going to love it like I do. This pairs fantastic with plain white rice / Idli / Dosa. Crab Fry is a fragrant medley of spices and aromatics. Its spicy punch is set off deliciously by the sweet crab meat.It is a thick masala kind of dish and taste just fantastic with rice. Crab Fry is a dish to certainly saviour taste buds for a hearty dinner. The turmeric powder marinated crab is cooked with the tomato, onion and spices and served. Try out this delicious recipe in your kitchen. A vibrant and delectable take on undoubtedly one of the most famous Recipe. This hot and spicy dish is a phenomenon to the taste buds with its tantalising tangy flavours. It combines the zesty flavours of a tikka masala with a range of other warmer spices that won't blow your head off but will definitely warm up those winter evenings. 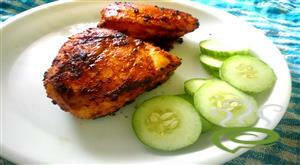 This chicken tikka is easy and home made dish. Chicken tikka is India's most popular chicken dish. But i prepared with the ingredients available in home and stove grill which give authentic taste. I have been looking for a chicken gravy for pulav, naan which is thick, little on the sweeter side and little spicy and masala like. 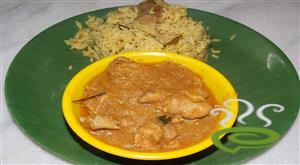 Recipe is the simple but very tasty version of Indian Chicken Recipes. This homemade chicken dish is not a very fancy one, but a simple, straightforward and a quick version of Indian chicken curry recipes. Lamb leg soup is a very authentic soup recipe from South India, some prepare it spicy whereas my version adopted from my Mom is mildly spiced but well flavored. It is such a delightful and tasty soup recipe that is very healthy too, it is good for kids with a poor appetite.